﻿ Corporate informational videos are a powerful way to get your message across to local audiences. Tutorials and e-learning videos are also a great way to provide excellent service to your customers where and when they need it. RABI’s professional linguists ensure that you go the extra mile. We carefully tailor our video services to meet the local dialect, current lingo, and cultural norms of your local markets so that your Quebec customers don’t get turned off by a Parisian accent. Our translation and cultural consulting teams translate your scripts into destination language(s) and adapt them to the local culture(s). Our voice recording team records the translated scripts into the languages you need and synchs the recording to your original video so that the audio fits the original scene speed. Our voice recording experts have deep experience in broadcasting, the local voice-over industry, or in acting, which means that they know how to record your scripts for the most impact, with fluency and credibility. Subtitles can be provided in multiple languages for each video. Our local linguists have specialized industry experience, which enables us to produce accurate subtitling and voice-overs for technical and training videos, as well as mass-market commercials and films. 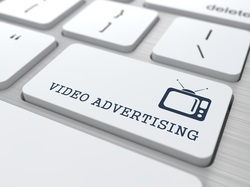 Maximize the effectiveness of your videos by tailoring them for your local markets. If you have specific requirements, please do not hesitate to contact us and our audio/video specialists will design a customized solution for you. Please click here for a partial list of the industries we serve. To speak with a RABI representative about your audio/video needs, please call or email us today.